I used to post on horse city quite frequently back in the day with my little bay QH mare. I cant believe how the time has flown by. Since ive been here I have acquired a new horse (Still have my little old mare though!). Hes my hopeful upper level prospect. Hes a 4yr, 17hh old holsteiner/Oldenburg gelding out of Landgraf and Ideal. I bought him a yr and a half ago as an unbroken 3yr old. Hes got the most wonderful, in your lap, willing to please temperament. Training him has already been an absolute blast and I cannot wait to see where he takes me over the course of his career. Ok well enough of the blabbering here are some photos. Feel free to critique if youd like. I know we have a long way to go and have a decent handle on our faults already but I love getting the opinion of others. very handsome and looks like a lover!! i'm with c.s.a. 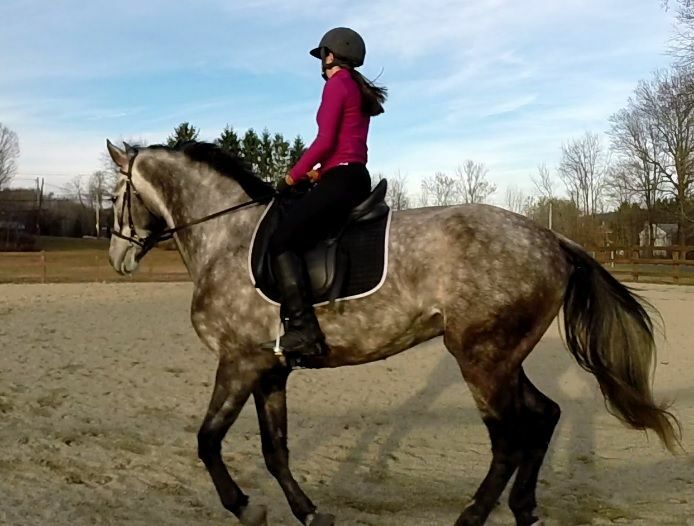 i have a 9 year old grey gelding--wish he'd stay grey. Thanks guys! Yes I really do enjoy his color now. 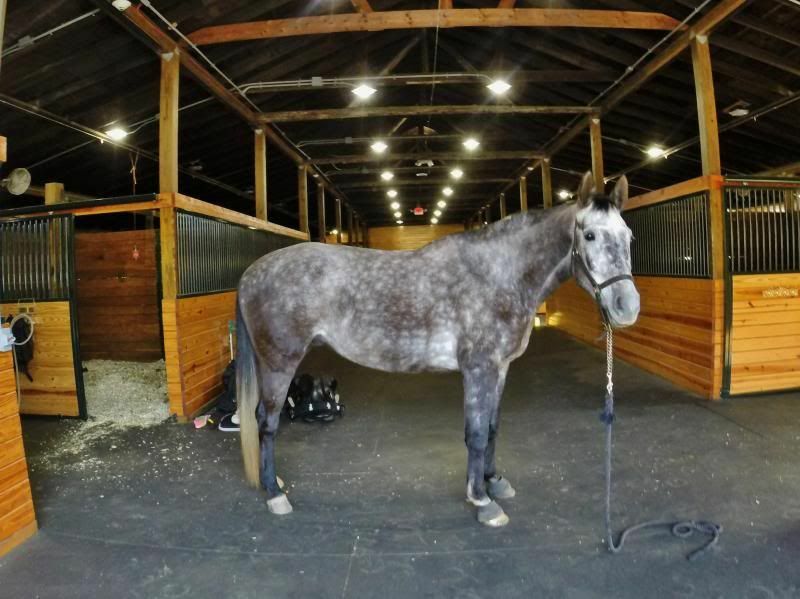 He was quite the odd mud gray color when I got him. He's turning into quite the handsome guy. Compared him to the ugly duckling when I got him lol. He is quite the tall guy, he wasn't supposed to be this tall, oops. His father and mother are barely 16hh haha. I think he's finally started to stop growing "up" and starting to get some bulk to his gangly body. 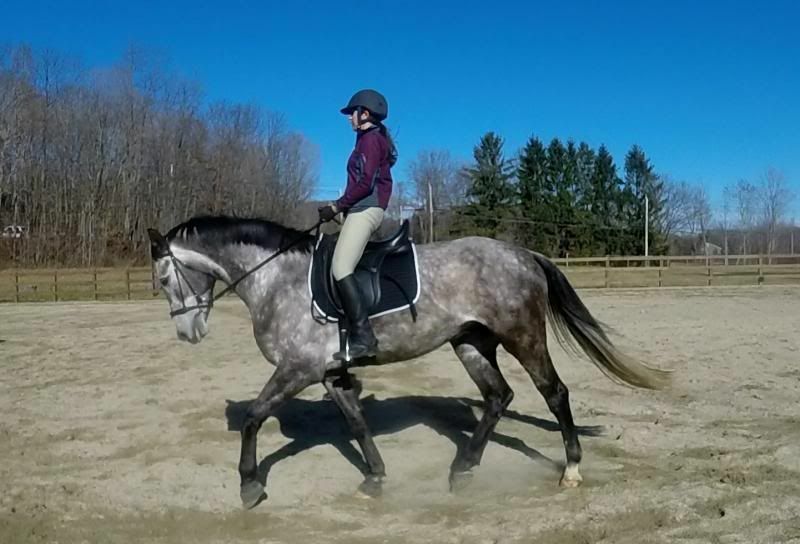 when i bought my current horse at 6 years old (lusitano) i researched everything about the breed, except for the teeny-tiny detail that they grow until they're 8 . when i got him he was what i'd call a lovely medium size (which was one of my criteria), and now he's big. but very kind. 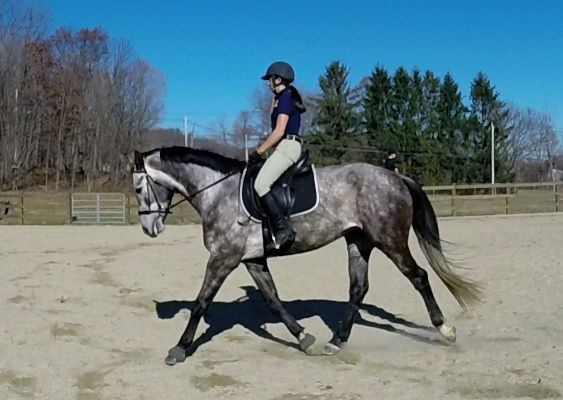 i live in warmblood country, and we get a lot of young ones through our barn for backing or continuing education--you might be in for a bit of an altitude change over the next 2 years . He looks absolutely lovely! you guys look great together. What are your long term goals? I see you're riding in a dressage saddle, so I assume showing?